The majority of Auditoria demand for many different uses with diverse acoustical needs. 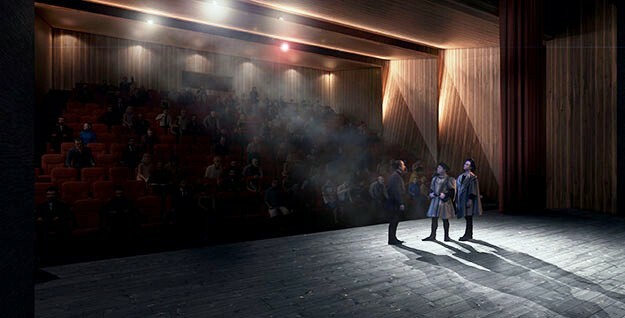 It is not uncommon for speech presentations, live music events, and theatrical plays to be held at the same auditorium. Moreover, integrating a sound system in accordance to the acoustical demands is an additional challenge that calls for careful planning and design. A carefully designed auditorium will serve the venue’s needs without modifications. In more demanding situations variable acoustics can be employed depending on the venue’s use. This can be achieved by means of adjustable acoustic elements. Additionally, sophisticated sound systems can extend the acoustical properties of a venue to beyond its physical and acoustical limitations of size and shape. We work closely together with architects, project managers and builder owners at the conceptual stage of the project. We provide consultation for selecting/designing the appropriate venue that better suits your specific needs. We provide complete acoustical and sound system design services along with onsite inspections for guaranteed results.